We first reported that eBay was to launch a temporary bricks-and-mortar store in London a month ago. Timed to coincide with the early Christmas rush, the main caveat with the store was there would be no tills, a very limited selection of products and shoppers weren’t allowed to take any of the items away with them. Not your typical shop, we’re sure you’ll agree. 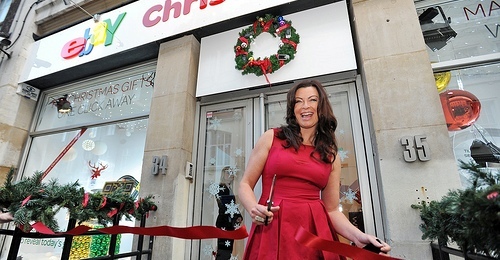 The eBay boutique opened from 1-5 December, and saw 2,500 customers arrive through its doors. In a blog post today, Richard Brewer-Hay, a Senior Manager at eBay, calls the store “the UK’s first-ever QR code shopping emporium”, with shoppers able to browse over 350 items provided by a selection of the top-rated eBay sellers, with purchases made using mobile devices. You can check out eBay’s behind-the-scenes video here , which shows you how the store took shape in the build-up to launch..
Read next: Facebook's Hernandez: Timeline opening to more users "In the next couple of weeks"